Happy Wednesday! I'm still jet lagged but I'm really enjoying Indonesia despite driving to 3-4 meetings a day in Jakarta traffic. 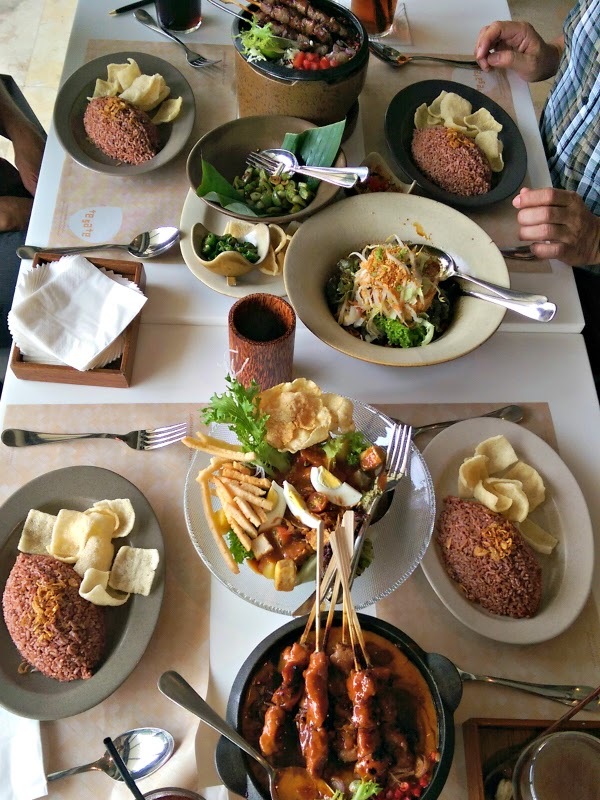 Mostly because of all the delicious Indonesian food I've been eating. Speaking of (not) eating way too much yummy and unhealthy food, I have a great guest post for you today from Janelle at Run With No Regrets. 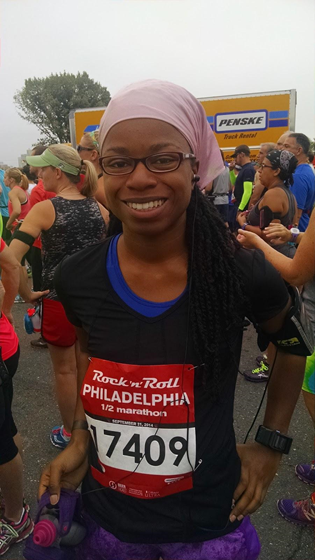 Janelle blogs to "encourage others to live a healthy life and to have NO REGRETS" and she's been a great Workout Wednesday Linkup participant. Today, Janelle's writing about something I have no experience with but have been dying to know more about: working with a dietitian! 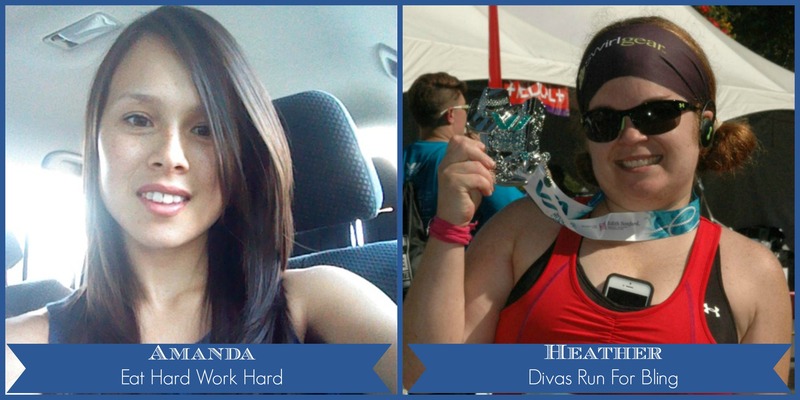 "Hi, my name is Janelle at Run With No Regrets and I'm a huge fan of Amanda’s blog! I'm so happy that I'm able to Guest Post for her while she’s away! Over the past year and a half, I've made huge strides in my health. While I've always been in pretty good shape, I didn't know a thing about nutrition. I ate what I wanted and didn't worry about it because I could “run it off”. But when I suffered a stress fracture in my foot in early 2013, my physical activity plummeted. I was down in the dumps and didn't make healthy eating choices. I ended up gaining 10 pounds! Once that happened and my injury was healed, I knew I had to make a change. I decided it was time to work with a professional to learn how to eat healthy in addition to working out. So I signed up for nutrition counseling with a dietitian and I haven't looked back! A dietitian is a professional with expertise in nutrition and diet. They are knowledgeable of how food affects the human body, and work with individuals to help reach their goals, from losing weight to managing and preventing diseases. You have probably heard the terms “dietitian”, “nutritionist”, “health coach”. While having similar goals, these terms are not necessarily interchangeable. A registered dietitian has very specific credentials for their practice, including a specialized Bachelor’s degree, hundreds of hours of supervised work experience, and national exam certification. At the Academy of Nutrition and Dietetics, you can learn more about the differences between a dietitian and nutritionist. Why Should I Work With One? Support: Want to lose weight? A dietitian will help you reach your goals! Education on nutrition: What are healthy fats? Are carbs good or bad Should I go organic? What’s the Paleo diet? Healthy meal plans: Take the stress out of figuring out what to eat each day. Accountability: Regular visits and logging of meals keeps you honest. At your first visit, your dietitian should take your baseline information such as age, weight and height, ask what you eat in a typical day, and inquire about your weight loss goals. From the information you provide, she/he should be able to create a plan for you with a designated calorie count per day, with allotments of servings for carbs, protein, fruits, vegetables, dairy, and fats, depending on your needs. At subsequent visits, you’ll check in, get weighed, and discuss your victories and challenges with your dietitian since you last met. I just had a visit with my dietitian last week and I had to confess to her that I’ve been eating a lot of junk food due to stress! It happens! But the great thing is that I always know that I have a visit coming up with her that can jolt me back on the right track, and if need be, I can always shoot an email. Where Can I Find a Dietitian? The first place I would check is with your healthcare provider. With my insurance plan at Independence Blue Cross, I'm entitled to 6 FREE sessions of nutrition counseling with a registered dietitian. Most dietitians will accept insurance for payment. Does your company have a wellness program? They may be able to give you information about nutrition counseling options. At my place of work, the wellness program arranges for the dietitians to come to us! If your company has this option, you should definitely try it out! No health insurance? If paying out-of-pocket is out of your budget, there are still options for you! Search for a registered dietitian online that you can work with on the phone or even on Skype or Google Hangout. Many of these services offer your first session for free or have affordable payment plan options. For me, there have been CLEAR improvements in my health since working with a dietitian! After the first month, I was able to lose the weight that I gained and keep it off. But more than that, I have learned so much. While I don’t follow a strict nutrition plan anymore, my body has adapted to a healthy eating routine. When I eat too much junk food, I feel sluggish. When I prepare a meal, it feels incomplete without vegetables. I take my lunch to work almost every day. I watch my serving sizes, and I limit my alcohol intake. These are things I never did before seeing a dietitian! The whole process is so easy and in many cases at no cost to you. So what does it hurt to give it a try? See what a dietitian can do for you and your health! Have you ever worked with a dietitian? How was your experience? Thanks so much for that info, Janelle! I'm definitely considering working with a dietitian when I get back from this trip and have to transition off of my constant rice and noodles diet! For more from Janelle, check out her blog and follow her on Instagram and Twitter. Thanks so much for guest posting Janelle! Great info! I had no idea my insurance could cover visits to the dietition! This is a great article! Yay glad you liked it Lindsay! Super lucky to have great guest posters like Janelle! Just hopped by from #wowlinkup Workout Wednesdays to see the post on why you should see a dietitian. This is a topic that has been on my mind for a while now so I enjoyed reading the points covered in this post. Since I follow a plant-based diet, I find it more important than ever to understand how to plan balanced, nutritious meals that cover all of my needs. Thanks! Congrats on sticking to a healthy eating plan for such long time! Super inspiring!! I never thought to check with my insurance if they provide nutritional counseling. That would be great! I know right? I'm totally checking when I get back! I personally can't help be feel a little bit irked with dieticians, because they have been taught western medicine and I don't believe in any of that. Hmm I've never tried it so I don't know, but there are definitely all kinds of dietitians! Love Janelle! I have been so happy to see you progress in your running, and you are putting the past behind you (as it should be!). Interesting about checking with insurance, I would have never thought of that!